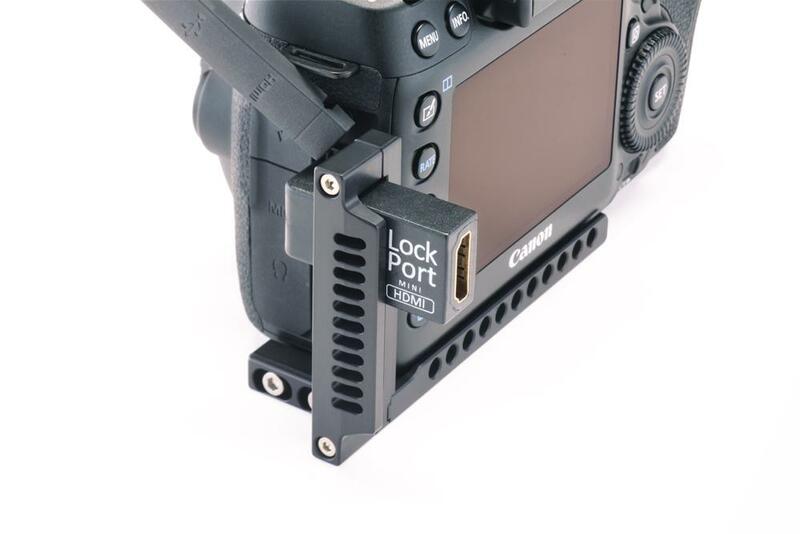 The LockPort 5DM4 DUAL is a new product developed to help avoid damaging your Canon 5D Mark IV mini HDMI and micro USB 3.0 camera ports! Highly requested from the photo/filmmaking professionals, now available for delivery! The LockPort 5DM4 DUAL protects definitely the fragile HDMI/USB outputs on your camera from tough production abuse with a rock solid universal clamp locking to the camera a smart mini to full-size HDMI and a micro to full-size USB 3.0 adapter. The LockPort 5DM4 plate is designed to fit easily every head, baseplate, sliding plate, support out there using the original camera screws already there. Ready in 10 seconds! 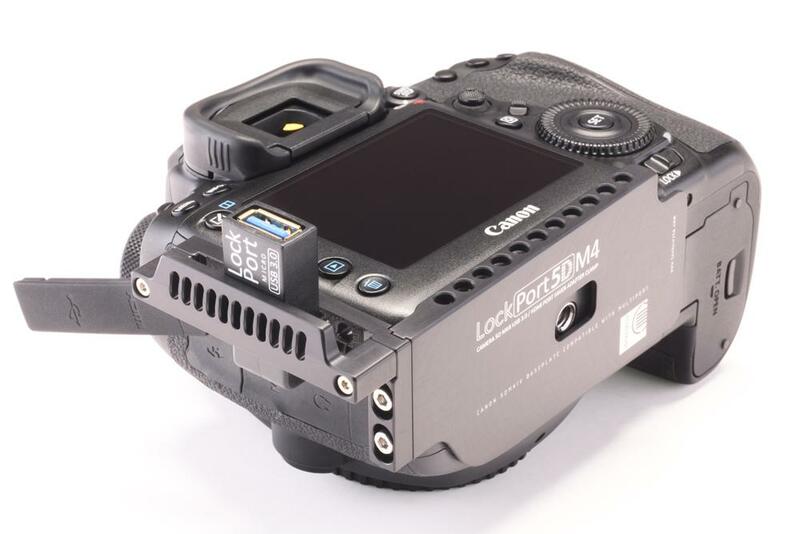 The LockPort 5DM4 DUAL safely secures to the camera the HDMI/USB 3.0 90° REAR adapters, protecting forever the “expensive to repair” ports on your camera, and also adding reliability to your field productions. The HDMI/USB 3.0 adapters has gold plated contacts (high speed transfer rate / 4K tested) and the full-size female outputs allows to use stronger standard HDMI and USB 3.0 cables, that can be purchased everywhere! Standard size HDMI/USB 3.0 plugs locks securely in the sockets with no signal loose!